As Hwangje-aligned industry flake on national loyalty, native companies are rallying in their place. GONGMANGDO: Independent corporations are banding together to seize upon the new opportunities for growth that have come as a result of the Taeyang Electric Power Company's (TEPCO) abandonment of all operations in Dankuk. This political move by TEPCO has followed the ouster of the government that was closely aligned to the Hwangje Family and it has represented the larger effort by the Hwangje to deliberately destabilize Dankuk. As TEPCO flees, other companies of Dankuk have quickly moved to capture new customers and investments. Prime Minister Hana Pastora de Santiago has applauded this economic activity, praising the commitment of these other companies in serving the people and has promised to do all she can to help facilitate various transitions that may affect citizens. This is especially true of internet and telecommunication service in the areas of the country where TEPCO maintained a monopoly. Once economic heavyweights, Muhandae Telecom and Haedodi Telecom have each assembled emergency task forces with help from the Ministry of Infrastructure & Transport and the Ministry of Trade & Industry. Other subsidiaries under the umbrella of the two chaebol have also mobilized to lead efforts to fill any voids left by Hwangje-aligned companies. The government has encouraged citizens to end any patronage to the Dankuk National Bank, publishing a comprehensive list of reputable Dranian-owned financial institutions. Officials are also encouraging new investment from foreign companies and nations that can provide reliable services to the nation, free of political manipulation. Prime Minister de Santiago additionally hopes to find progress in upcoming peace talks with Indrala, potentially leading towards an end to the long-standing embargo and opening up yet another channel for economic growth in Dankuk. With the Indralan Dankuk Act repealed, international flights are reopening between the two nations. 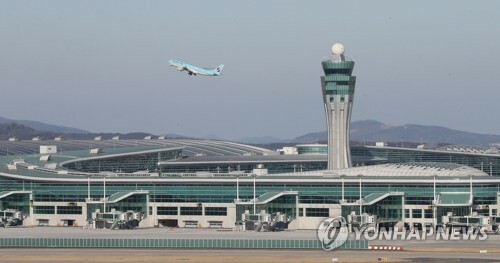 SEONGTAEK: As tensions ease between Dankuk and Indrala, the first readily noticeable changes is the availability of direct flights between the nations. Today the two largest Dranian airlines officially re-launched their Indralan routes for the first time in over a hundred years. Freed from the restrictions of the Indralan embargo, outlined by the Dankuk Act, Air Dankuk and Northern Dovani Airlines are once again able to operate what was once among their busiest air travel routes. Ceasing operations in the midst of war and unrest, the Tukarese conglomerate seeks to revive its Dranian industry. KAIZHOU, Jiaozhi Province: Having once called Seongtaek home for its Dovani headquarters, Kyuma Industries hopes to bring life back into its operations in Northern Dovani. With its Dovanian headquarters relocated to Kaizhou, Indrala after the anti-Ryeo coup and the wars that followed, the company was long barred from engaging in economic activities in Dankuk due to Indrala's embargo. The Tukarese-based conglomerate once operated many large factories in Dankuk, producing automobiles, consumer electronics, and food goods through its various subsidiary companies. Now itself a subsidiary of the Indralan FangCaiRyeo Group, Kyuma Industries has only grown larger since its departure from Dankuk. With the success of the peace summit in Lourenne, which led directly to Indrala's repeal of the Dankuk Act, Kyuma Industries is in talks to officially make its return, opening up new factories for Fusion Foods, Prospero, Sangon Drinks, and the Tsai-Hwai Company. Each of these subsidiaries, once listed on the Dankuk Exchange through Dranian depository receipts, are also seeking to return to the exchange. There are also rumors that the conglomerate could bring its recently founded defense company to Dankuk pending internal company discussions and a review of legal regulations surrounding their involvement with the Imperial Armed Forces of Indrala. Coming as no surprise, Prime Minister de Santiago has officially declared her intention to form a republican federation. IGLESIA MAYOR: It has been no secret that the Federalist Party draws its core inspiration from the Dranian Federation of President Alfredo de la Cruz and Prime Minister Hana Pastora de Santiago has not hid her republican aspirations for the nation. However, today her government made an official declaration outright stating that it is the intention of the Prime Minister and her Government to re-establish the Dranian Federation. This second attempt at republican federalism for Dankuk is to have a specific focus on establishing a unitary and ceremonial head of state that possesses minimal to no political power and absolutely no military authority. This particular aspect is a reflection of many centuries of Dranian history and abuses of power by elected heads of state, such as by Taeyang presidents, Hong Seon Ki, and Joel Cubrero. Under the federation, the head of state will be nonpartisan and primarily tasked with representative national unity. Meanwhile, most power will rest with the elected parliamentary system and its chosen head of government, while provincial and city governments will also be provided a much more substantial governing role. Plans for the federation are also exploring the idea of identifying recognized cultural zones to provide ceremonial representation of Dankuk's three major ethnic groups, the Dranianos, Kyo, and Draddwyr. This may also be integrated with a broader plan for a national unity committee that would be populated by the head of state, the head of government, provincial/municipal leaders, and cultural representatives. Much remains in the works and official legislation is not expected to yet be possible. A remnant of the war with Kazulia, the militarized border wall will soon be no more. 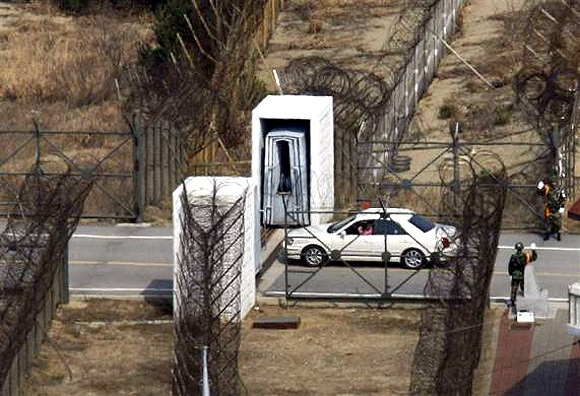 GONGMANGDO: Built in the 4370s following the war with Kazulia, the wall on Dankuk's southern border has continued to contribute to an environment of hostility in the region. While relations have continued to cool with Kazulia and Dankuk prepares for greater involvement in pan-Dovani projects, such as the Lourenne-proposed highway, the border wall stands contrary to talk of peace and stability. Lauded by the past governments led by the political forces aligned with the monarchy, a strong military presence has been maintained along the border wall, with limited tourist sections that outright encourage visitors to report Kazulian movements to the military for a reward. Since last month, all tourist operations have been shut down at the wall by the request of Prime Minister Hana Pastora de Santiago. This request came in tandem with the announcement that Prime Minister de Santiago would be pursuing a complete demolition of the militarized border wall, with deconstruction beginning in December. The Prime Minister hopes to use this move as a first step to drastically improve foreign relations with Kazulia and to invite further cordial dialogue between the two nations. Only a half-mile segment of the border wall will be preserved, gaining a new role as a war memorial to commemorate the lives lost on both sides during the war. The site will also serve as a reminder of the consequences of war and the necessity of international cooperation in Dovani. Named in memory of disappeared/murdered former vice president, the act seeks to promote human rights in Dankuk. SEONGTAEK: Vice President Rosi Kwon, first serving with President Alfredo de la Cruz under the first Dranian Federation and later leading the cabinet government that stood opposed to dictator Hong Seon Ki, was a vocal proponent of democracy in the past century. Her passionate support for the House of Ryeo also put her at the top of the hit list for the Hwangje-aligned forces organized around the party that is today known as the Imperial Tradition Party. Under Hong Seon Ki's presidency, the nation was effectively victim to a coup by Hong, who immediately targeted members of the Federalist Party and House of Ryeo. Setting off the first wave of refugees to flee Dankuk, not everyone escaped the grasp of totalitarianism and they were disappeared or outright killed. Among the most notable victims was Rosi Kwon, who, after assisting the House of Ryeo in their escape and in covering up former President de la Cruz's involvement, went missing. She would never be seen again and even after the brief restoration of democracy after Hong's demise, Kwon would not resurface. When Dankuk would again face a coup, next by the Hwangje, all efforts to locate Kwon would be abandoned and forgotten. With the Rosi Kwon Act, the new Federalists are bringing new light to the victims of this nation's recent history of totalitarianism and the legislation seeks to bring about laws which prevent the government from engaging in the same kinds of acts perpetrated by both Hong Seon Ki and the Hwangje-aligned presidents. Prime Minister Hana Pastora de Santiago declared that Dankuk must embrace human rights for all people and never again allow for such horrific abuses to occur within its borders. Shuttered during the early years of the dictatorship, the university is planning a revival. 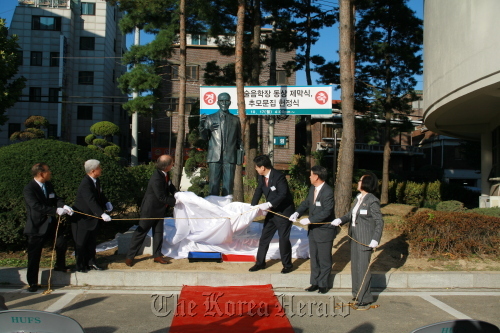 GONGMANGDO: With the assistance of a group of aging alumni and renewed support from the Ryeo Foundation, now headquartered in Indrala, there are plans to reopen Haejo University in Gongmangdo. The once prestigious institution, named for the founder of the modern Kyo monarchy, was forced out of operation during the early years of the dictatorship after losing access its large Ryeo endowment. Alumni groups continued to support the university for nearly a decade before it finally cease operations due to continued government pressure. Following outreach from the Ryeo Foundation, the Ministry of Education & Culture has officially announced that Haejo University will be reopened with support of a major endowment from the philanthropic organization. It is rumored that one of the Ryeo twins will come to Dankuk to officially represent the foundation and chair the university's re-founding committee. Reclaiming its old campus, renovations are planned to occur through the remainder of the year with students being accepted to start in the fall of next year. GONGMANGDO: Stock values in the financial sector have continued to rise as independent banks expand their customer base as a result of the politicized actions of the Dankuk National Bank (DNB). Having shown to act on the behalf of special interests, many citizens have chosen to shift their patronage to other banks so to avoid the fickle and partisan attitudes of those leading the DNB. Increased competition to win over new customers has helped create this rally among the banking stocks. IGLESIA MAYOR: Bishops of the Aurorian Patriarchal Church gathered in the capital of the Ulbrach Province to promote a national commitment to protecting human rights and finding justice for all the citizens that have been victims of ethnic and political repression. SEONGTAEK: Prime Minister Hana Pastora de Santiago has demanded an end to the use of imperial titles in Dankuk declaring that all basis for such naming and symbolism is based in lies and propaganda, representing nothing more than an attempt by those in power to expand control and legitimize authoritarian policies. The Prime Minister also linked the issue to international tensions, such as the false claims that once existed over Kazulia. YONSEO: The Muhandae Group has opened a brand new state of the art production facility for its automotive division with a specific focus on manufacture of electric passenger vehicles and commuter trams. Beyond this factory, Muhandae has broader plans to expand its international presence, potentially entry to the Indralan market. Republicans, democrats, and human rights activists gathered at the northern city to formalize plans for a new federation. Thousands gathered in the streets to show their support for a democratic Dranian Federation. BELO MOUNASTERIO, Ulbrach Province: Organized by Prime Minister Hana Pastora de Santiago, Federalist leaders and community representatives from all across the nation gathered at the Conference of Belo Mounaterio to officially launch in-depth discussions on the creation of a new Dranian Federation. A draft document, titled "A New Age for Drania," continues to be worked on by the Prime Minister and today's conference was a step towards finalization of what will eventually become legislation to dismantle the monarchy and establish a new constitution. This conference is also a first step in the creation of what is tentatively being called the Federal Council for Unity, a proposed national advisory board that would be composed of the head of state, head of government, regional leaders, and cultural community representatives. The Federal Council would play a vital role in advocating for democracy, equality, and stability in a multicultural federation and it would serve as a permanent connection between the national government and representatives of all of the diverse communities of Dankuk. As the conference occurred, thousands of citizens gathered in the streets of Belo Mounasterio to show their public support for the establishment of a democratic republic. Exiting the conference site, Prime Minister de Santiago joined the crowd in pro-democracy chants and declared that she will not rest until she achieves victory for the people of Dankuk. After years of turmoil and constant far left propaganda by a Yingdalan funded news organization and parties, the Evacuation order has been given as news of the Far left's takeover of the government spreads throughout the nation, including rewriting history books to suit their own agenda. Among those being evacuated include the Empress, the Crown Princess and various other members of ITP and other members of the government who fear persecution by the emerging government in Dankuk. The new government hasn't been shy of its opposition to Dankuk, and has been known to celebrate the actions of a family that has known past associations with an organized crime syndicate, likely orchestrating political assassinations of Tukarali Crown Prince, and giving kickbacks to foreign companies at the expense of local companies. It remains to be seen what will become of Dankuk. But it is expected that remaining allies of the royal family will follow them rather than risk danger from the emergence of a westernist regime. The federalist coalition has been propelled to a constitutional majority and an end to the authoritarian monarchy. Fireworks over the City of Gongmangdo. SEONGTAEK: Major political upheaval is underway all across the nation as the Federalist Party and its Draddwyr republican allies have won massive public support following the snap elections brought about by the disintegration of the People's Socialist Party. Forces of the authoritarian royal house have fled the nation and their political supporters have resigned from the parliament. 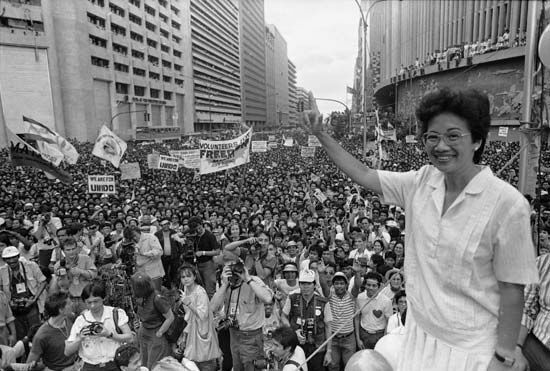 Prime Minister Hana Pastora de Santiago appeared before a growing crowd of thousands of supporters in Seongtaek to celebrate the sudden and unexpected victory over the imperial aligned parties. The Prime Minister has immediately motioned for the establishment of a Dranian Federation, officially bringing an end to the monarchy that, one century ago, violently seized power through deceit, murder, and manipulation. In the days ahead Prime Minister de Santiago has scheduled an endless spread of meetings with local political, religious, and cultural leaders all across the nation, seeking their input and potential participation in the transition process. Of particular interest is finding suitable organizations and community leaders to take part as ranking representatives in the Federal Council for Unity, which will be a national advisory committee that works alongside the federal government to ensure democracy, equality, and human rights for all citizens of Dankuk. Early plans are also in the works to schedule the national election for the chairperson of this council. Over the coming months, much will change in the political landscape as the nation transforms into the Dranian Federation. And Dankuk's major cities, having regained independent governing status as Federal Cities, will become important centers of the government as Seongtaek becomes home to the national parliament, Iglesia Mayor home to the judiciary, and Port Rhynach home to the federal council. Left abandoned and unguarded, the residence became an enormous playground for thieves and curious observers. Civilians exploring inner rooms of the Light Palace. PYEONGREO, Magadonia Province: Raiders and hundreds of curious observers descended upon the Light Palace in Pyeongreo following the massive success of the republican coalition in the elections. The huge residence, ranked as one of the largest in the world, has sat abandoned and unguarded for a at least a week as a result of growing support for republicanism. The Hwangje Family, having fled without any restriction from the government despite active criminal investigations, has completely left the country. Now their former palace has become a major place of intrigue and plunder. Reporters sent to the site found free access to nearly the entire grounds, frequently encountering urban explorers or thieving opportunists seeking whatever may have been left behind. GONGMANGDO: The Ryeo Foundation has reopened an office in Gongmangdo as it moves forward with broader plans to revive in philanthropic activities in Dankuk. Having previously been a major financial supporter for public education, healthcare, and disease research, the foundation hopes to yet again provide significant support for positive causes and innovative projects. IGLESIA MAYOR: Foreign Minister Nicolas Yulin has expressed in interest in forging a new alliance with the State of Indrala, once one of Dankuk's longest standing foreign allies. With the success of the Lourenne peace conference and the ongoing federalist reforms, Yulin hopes to seize the moment as an opportunity to grow a new Dranian-Indralan alliance. PORT RHYNACH: As the government moves to reorient Dranian foreign policy, the Prime Minster has announced that it will shutter all military bases hosted for the Majatran Union of Nations in the Loren Province. Future plans for the bases have not been finalized. SEONGTAEK: SamAng Entertainment and K.R. Entertainment are seeking to recapture the spirit of Kyo-pop, aim to steer the industry away from the era of political propaganda that was imposed under the deposed monarchy. These two leading companies in Kyo-pop, the major influence on the globally successful Yingpop, hope to win back the helm of the wider Gao-Showa music industry. SEONGTAEK: Sun Seohyun, patriarch of the ancient Sun political family, has announced his interest in running for the Federal Chairmanship as an independent candidate. Some factions of the Federalist Party have expressed interest in having their party provide an official endorsement to his potential candidacy. The memorial aims to preserve the memories of Dankuk's democratic fighters. 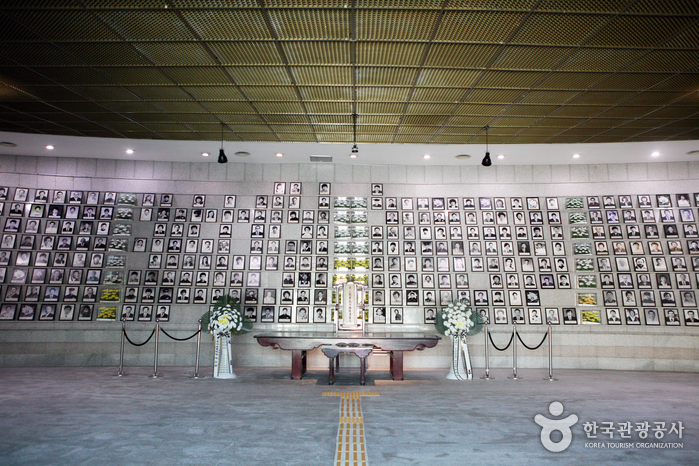 SEONGTAEK: The Democratic Memorial Park of Seongtaek has officially opened in the outer district of the federal city, serving as a national monument and cemetery that preserves the memory of those who participated in, and may have even died for, the struggle for democracy in Dankuk. The site is composed of a minimalist museum that focuses specifically on displaying the names and images of those who were victim of the two violent coups of the late 43rd Century, the first led by Hong Seon Ki and the second by the Taeyang Hwangje. The latter was successful, setting off a series of events that completely dismantled the nation's democratic institutions and forced thousands to flee the nation as they sought refuge from violent persecution at the hands of the Hwangje dictatorship. The museum illustrates important sites of the democratic movement and the resistance against tyranny in Dankuk. Furthermore it houses a permanent exhibit that deconstructs the messaging of propaganda and cults of personality. A smaller section of the Democratic Memorial Park serves as a national cemetery for those involved in the democratic movement, whether it be that of the 43rd Century or of the current century. Some graves on the site are symbolic, bearing the name and memory of those who disappeared in the early years of the dictatorship, presumably murdered and dumped somewhere by agents of the regime. Among those graves is that of Rosi Kwon, the Vice President who made the mistake of being the most vocal critic of authoritarianism, earning her a place at the top of the hit list. Additionally is the grave of Ryeo Choesun, the royal heir who was assassinated by order of the Hwangje government. Beyond the symbolic memorials, there are hundreds of grave plots for those were died in the struggle for democracy, such as guards who defended Beonyeongsalm Palace in midst of a coup, innocent civilians who challenged the military takeovers, and conspirators who aided the Ryeo in their escape from violent persecution by both a madman god-emperor and power hungry taeyang. Meeting informally for the first time, the advisory committee talked democracy and outreach. PORT RHYNACH: Ahead of planned elections for the first official Chairman of the Federal Council for Unity, Premier Hana Pastora de Santiago has presided over the Federal Council in an acting capacity for the past few months. 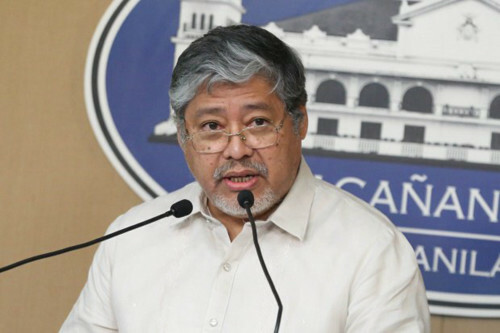 In do so, de Santiago has gotten a head-start on assembling representatives and organizations from around the nation to participate on this national advisory committee. As an essential piece in the federation's commitment to human rights and multicultural democracy, the Premier has sought numerous cultural and religious leaders in addition to the top-ranking provincial leaders who will sit upon the council. While there is no question of a Draddwyr, Dranianos, and Kyo role in the council, Premier de Santiago has put in great effort to reach out to smaller groups of significance within Dankuk, such as the Kazulian minority of Elbian. While there are still more to be added to the participant list, the Federal Council for Unity has effectively become active with the Premier having met with current members in an informal capacity this weekend to seek more input on government outreach and ongoing democratic transition. GONGMANGDO: The CEO of Muhandae Group has announced that the chaebol is considering a major rebranding. While little functional change is expected, the chaebol is very interested in revamping its image as it looks to win back a competitive edge and potentially find additional opportunities abroad. PORT RHYNACH: Officials of the Federal City of Port Rhynach are hosting a flag design contest open to citizens of the entire country. Having achieved special elevated status, the federal city and council capital seeks a new banner. PYEONGREO, Magadonia Province: A foreign investor is rumored to be exploring the possibility of opening a large amusement park in Pyeongreo. Few details are currently available but it has certainly caught the attention of the Yonseo Resort Company, which has long dominated the large-scale tourist operations of Magadonia. SEONGTAEK: Premier Hana Pastora de Santiago has introduced legislation to restore the operations of the Dankuk Railroad Corporation, better known as Danrail. The rail operator has a major legacy in the nation, having overseen the development of Seongtaek's metropolitan subway system and Dankuk's national high-speed railway. SEONGTAEK: The Indralan fashion and lifestyle brand, House of Jiyu, has opened its first Dranian store this week. Named for its eccentric and controversial founder, the House of Jiyu also operates a hotel chain aimed at the younger demographic, another anticipated expansion into Seongtaek within the coming year. Special Feature: Dranian Philharmonic Orchestra performs the anthem of the Federation. The Dranian Federation is the latest nation to call for international sanctions on the Temanian regime. SEONGTAEK: Following a call by President Chéron of the Canrille Federation for international sanctions to be placed on Noumonde, the Foreign Ministry has issued an official statement declaring the intent of the Dranian Federation to support such measures. Foreign Minister Nicolas Yulin stated that his ministry has been monitoring the situation. Solidarity for Democracy in Dovani, the international pro-democracy organization founded by Premier de Santiago, has also started advocating for the restoration of Malgy-rule in Noumonde. Foreign Minister Yulin wrote: "We are familiar with the struggle for fair representation and democracy. The Malgy people must have their rights restored and they must again be granted their right to self-governance. Furthermore, General Blanchard has taken deliberate action to undermine the local culture in favor of Canrillaise and this provides only more reason for total condemnation of his regime. The international community must not accept the legitimacy of Blanchard's dictatorship and, especially as people of the East, we must also stand in solidarity to protect local cultures, allowing no form of modern-day colonialism."